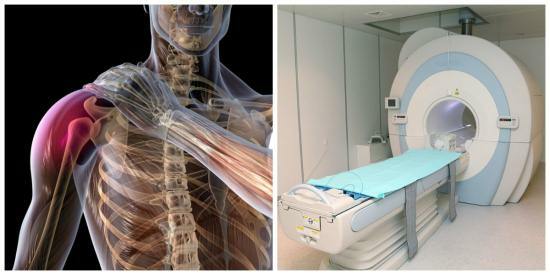 Currently, for the diagnosis of joint diseases is widely used instrumental methods: magnetic resonance imaging and computed tomography. Both methods are rapidly developing, can claim a major role in diagnosis. However, rheumatologists and traumatologists often choose MRI of the shoulder joint. Such choice has its explanation: a long time it was thought that magnetic resonance imaging is better able to detect diseases of soft tissues, and bones. Modern magnetic resonance tomography is able to diagnose the pathology and soft tissue, and bone structures, ligaments and cartilage that allowed the method to take first place in the diagnostic search. As a rule, the diagnosis of arthropathy begins with x-ray, but x-rays are not able to identify all possible joint changes. The advantage of MRI of the shoulder joint is that, typically, the arthropathy is not only limited to bone and cartilage structure but also affect the ligaments, vessels, nerves and soft tissues around the joint, the pathology of any of these structures can be detected using a magnetic scanner. Almost all joint diseases are accompanied by the same symptoms: pain, restriction of mobility, edema of the soft tissues. An experienced doctor with the help of the collected anamnesis, examination of the patient and changes in blood tests are often able to establish the correct diagnosis, but to confirm the stage of the process, a differential diagnosis is impossible without instrumental and hardware methods. MRI allows to assess the pathology, even very early in its development that it is impossible when carrying out an x-ray. 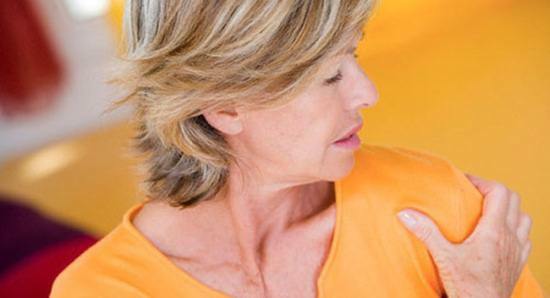 The shoulder joint can develop both acute and chronic inflammation (arthritis). Involved in a pathological process of cartilage and bone, synovium and ligaments in the cavity formed by inflammatory fluid (effusion). MRI of the shoulder allows you to identify the severity of inflammation, to differentiate arthritis with other articular pathology. Arthritis is often bilateral, therefore, to make accurate diagnosis from the MRI of right and left joint. Joint destruction is the result of many factors: prior injuries, ongoing high stress, hormonal changes of the organism, age-related changes, comorbidities and drug therapy. The result is a destruction of cartilage, deposition of «salts,» growth of bone tissue in the form of sharp spikes (osteophytes), reduced elasticity of the ligaments, decreases the amount of synovial fluid that acts as lubrication. MRI of the shoulder joint shows the extent of destruction of bones, cartilages, ligaments, helps to determine the stage of the process. Simultaneous scanning of the right and left joints allows to compare the degree of pathology in each of them, to determine the structural features of the joints of the individual. Conducting layer-by-layer scanning of the shoulder joint, magnetic resonance imaging detects cancer at a very early stage, allowing timely and successfully to treat it. Using contrast to differentiate benign from malignant tumor to determine the degree of spreading to the ligaments and muscles adjacent to the joint. You can also define the involvement of the lymph nodes of the axillary region. CT scan and x-rays do not allow to diagnose the tumor with such precision. The shoulder joint has a complex structure. As a result of traumatic lesions can develop fractures, torn ligaments and tendons, complicated dislocations of. Injuries may be accompanied by hemorrhage into the joint cavity, extensive hematomas in surrounding soft tissues. X-ray helps to determine the plane of fracture in two projections, CT scan establishes the exact localization of the damaged bone tissue. But neither x-ray nor CT scan do not allow to accurately determine the damage of other structures of the joint: cartilage, ligaments, muscles. MRI of the shoulder joint regains complete picture of the pathological process. During MRI of the shoulder joint the patient is placed inside the capsule with the electromagnetic field. All you need to perform during your studies is to stay in a fixed position, lying on your back throughout the procedure (about twenty minutes). If you want contrasting, contrasting the drug is administered intravenously before the beginning of the study. For contrast enhancement in magnetic resonance imaging use of chelate compounds of rare earth element – gadolinium. All compounds of gadolinium, used in medicine, are safe and are excreted by the kidneys unchanged. The main contraindication for MRI of the shoulder joint is the presence of non — removable metallic structures in the human body and also internal prostheses and implants, which can heat up and shift in a strong magnetic field. Currently, for replacement use inert metals which do not interact with the electromagnetic field. The presence of such structures does not harm the patient, but can distort the result of the study. For diagnosis in the region of the shoulder joint disturbance can be prostheses the joints, and prostheses and implants in the oral cavity. Such constructions it is necessary to inform the doctor before the examination. 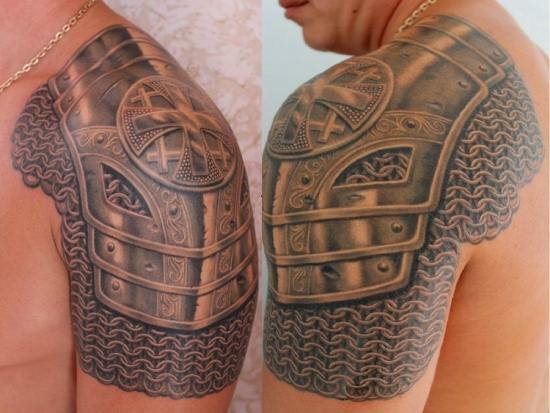 A contraindication for the study is the presence of tattoos. READ MRI of abdomen what does it indicate? It is strictly forbidden to perform magnetic imaging, if you have implanted electronic devices (pacemaker, prosthesis, inner ear). Not all devices allow you to perform a study the patient with significant excess weight (a hundred and twenty pounds). For such people fit apparatus with an open chamber. Patients with claustrophobia or with acute mental disorder can undergo MRI of shoulder joint under anesthesia. If claustrophobic, you can also use the public types of devices. Contraindications to the injection of contrast are allergic reactions and kidney problems. As with x-rays, the study does not require special training. However, if the procedure will be done with contrast, you need to refrain from eating for five hours before the study. On clothing during the study, should not be metallic elements, it is also necessary to remove jewelry and removable dentures.